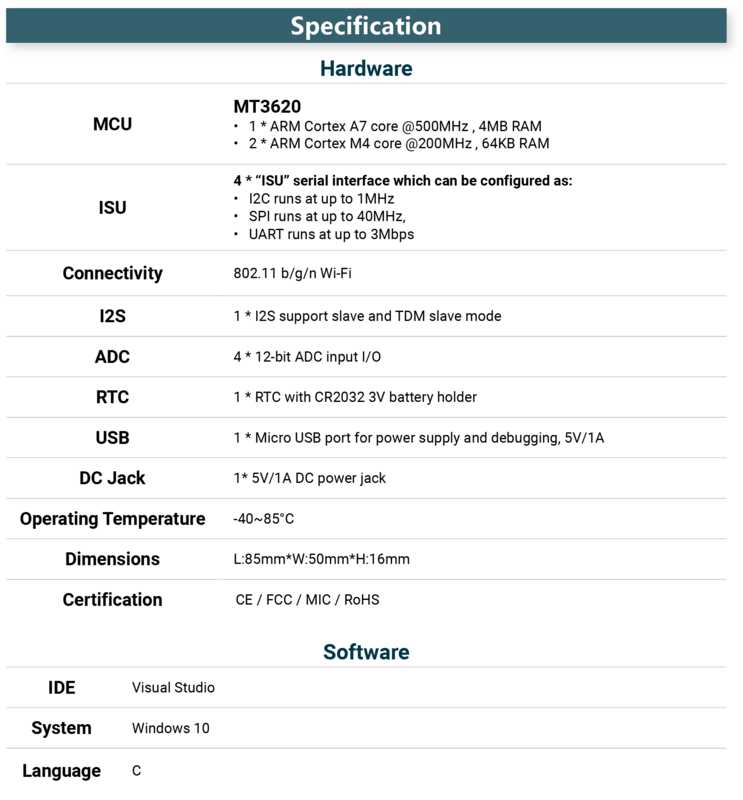 Microsoft Azure Sphere is a solution for creating highly-secured, connected, MCU-powered devices. Azure Sphere brings together the best of Microsoft’s expertise in cloud, software, and silicon—resulting in a unique approach to security that starts in the silicon and extends to the cloud. Together, Azure Sphere certified MCUs, the Azure Sphere OS, and the Azure Sphere Security Service provide you with the confidence and the power to reimagine your business and create the future. 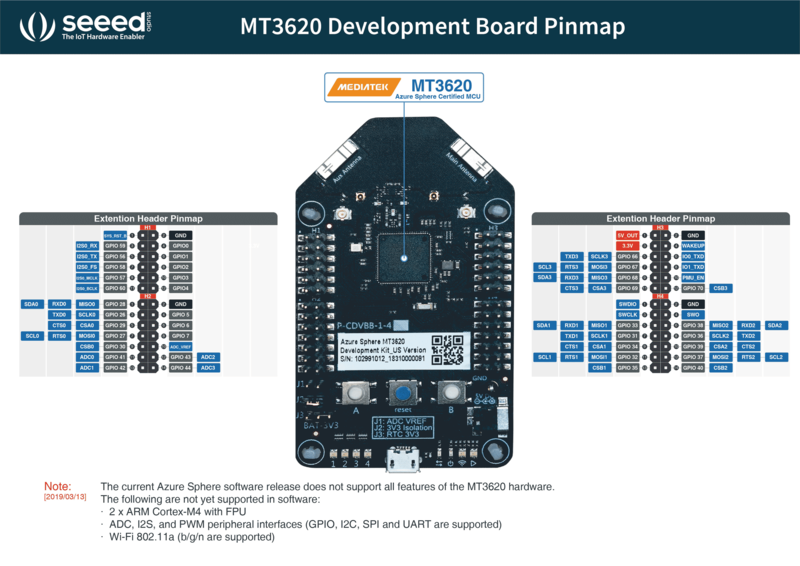 Please note that the current Azure Sphere software release does not support all features of the MT3620 hardware, including the two general purpose ARM Cortex-M4F cores, some peripheral interfaces (ADC, I2C, I2S, PWM and SPI), Wi-Fi 802.11a, and RTC with clock selection and battery backup. 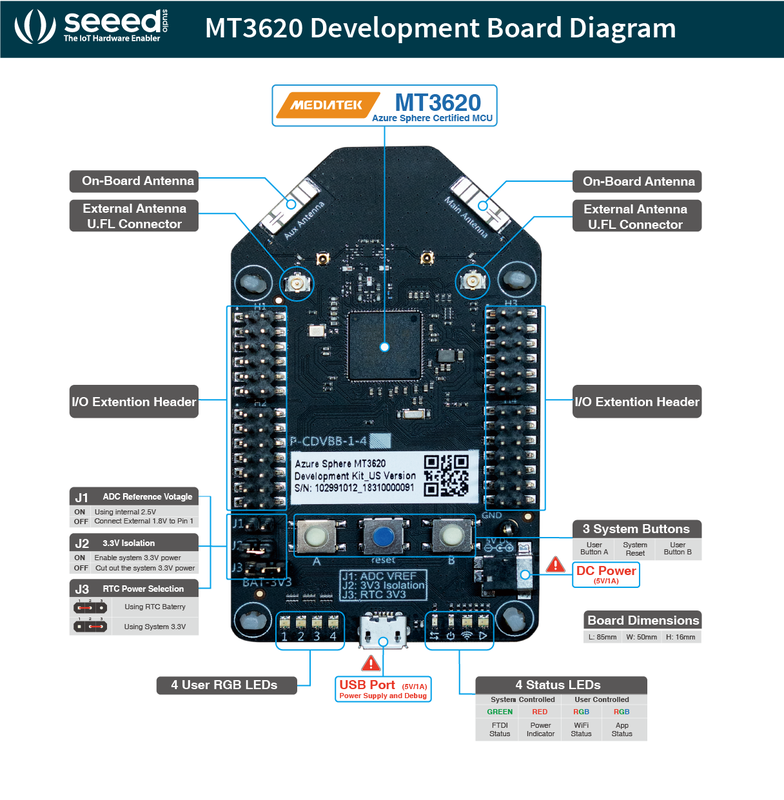 For ADC and I2C, customers can use MT3620 Grove Shield board, which has a UART to I2C chip and an I2C12-bit ADC chip.